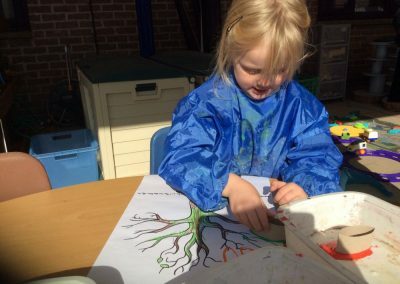 The children created their own autumn tree. They went outside to look at the colours of the trunks and decided on green, brown and black. Back inside they tried very hard to colour inside the lines of the picture of the tree trunk. 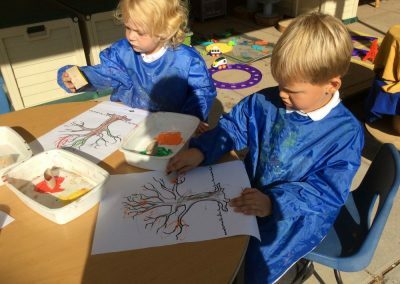 The children discussed what colour the leaves are in Autumn and decided on red, golden, brown, yellow, green and orange. 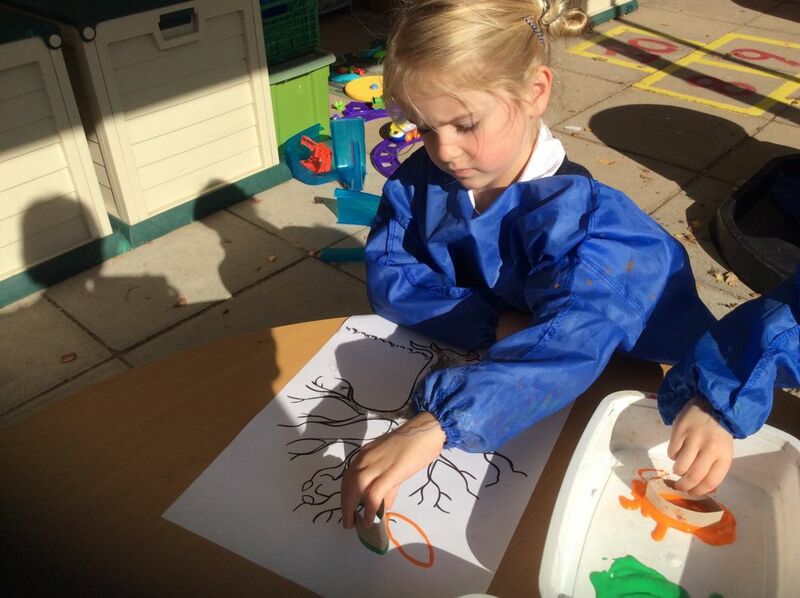 The children helped each other to put their painting aprons on ready to do their printing. 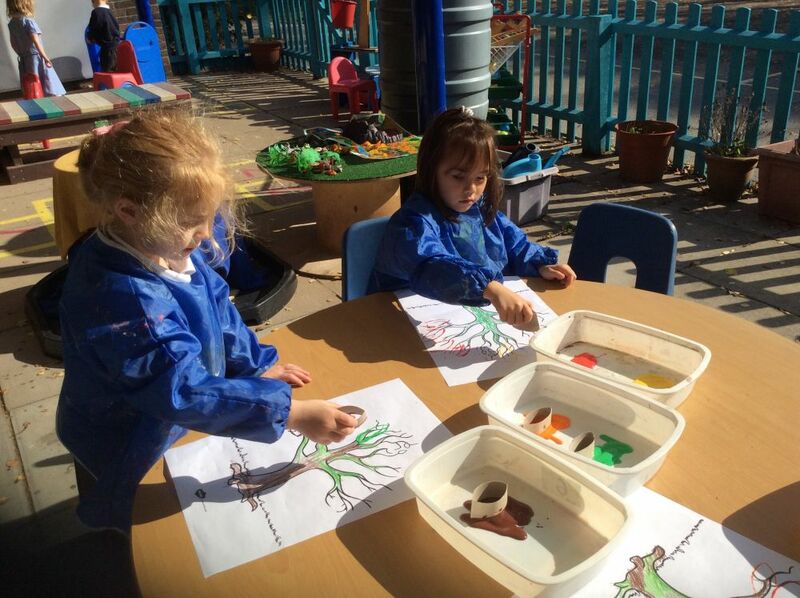 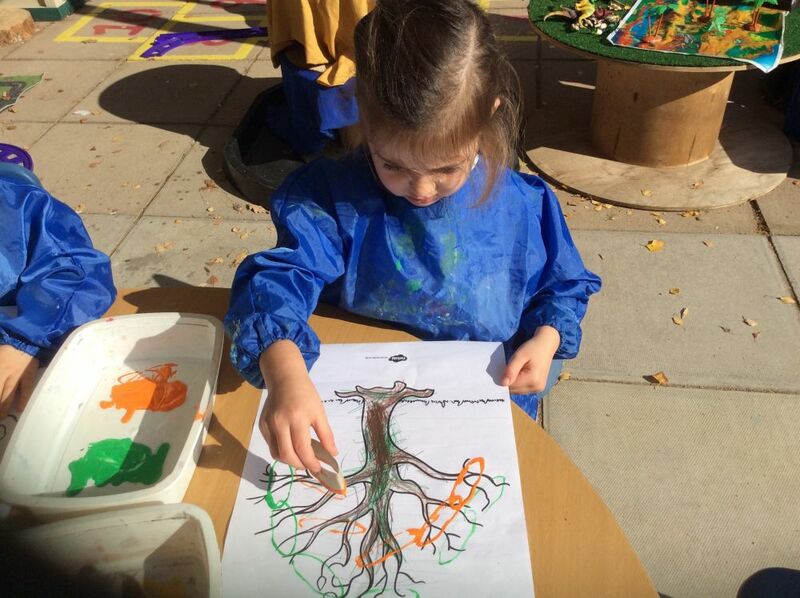 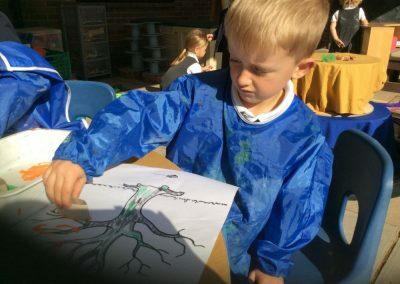 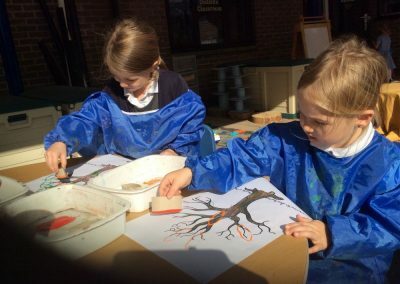 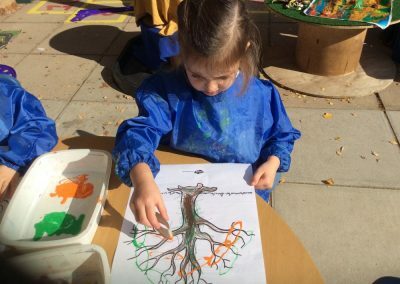 The children were given the task of putting autumn leaves on their bare trees. The children used the leaf shaped template (kitchen roll) to print different coloured leaves. Great autumn trees Kingfishers.